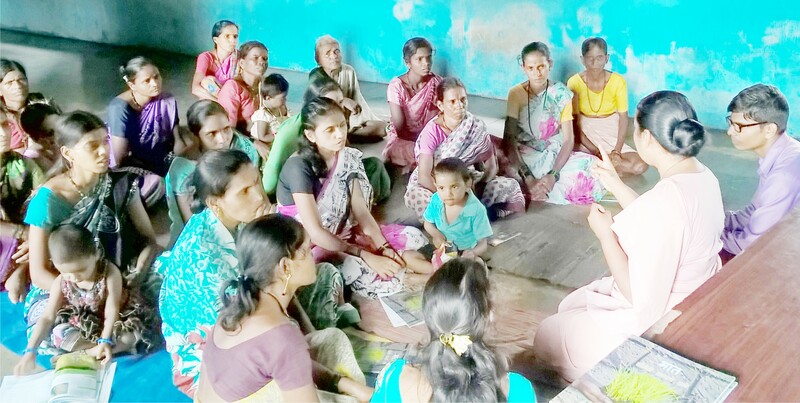 15 Tribal Hamlets of Kalyan Taluka under project Jeevan were given guidance and support tto fight for their rights. Empowered villagers tody attend Gram Sabha meetings in large numbers, women have started going to PDS officers for verification of the docs so that they get basic food and non-food commodities as per the rules of the Goverment, women giving letter to forest department requesting for cooking gas connection, also households asking Government for toilet and housing schemes etc. Tribal women give letter to Forest Department requesting for cooking gas connection.